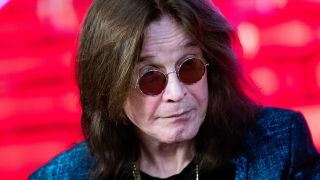 The vocalist had been recovering at home from a bout of pneumonia when the accident happened – and now his wife and manager Sharon Osbourne has revealed the extent of Ozzy’s injuries which caused the live shows to be cancelled. “Years ago, he had a motorbike accident, where he was in a coma for days. And what he'd done was he re-injured his back and neck and shoulders. All of the metal rods and everything that were put in his body were dislodged. So we had to cancel his year events. But he’s good, he’s fine, he’s great."